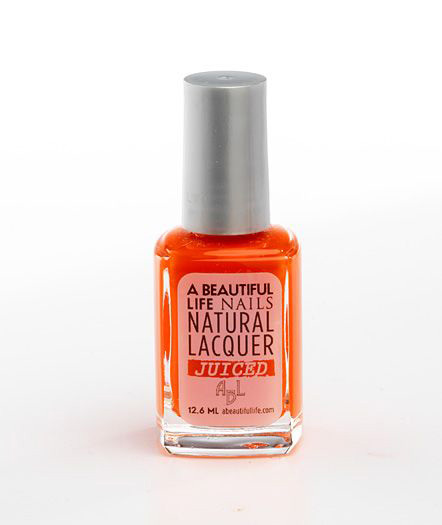 With a name like "A Beautiful Life", the products werre destined to make you feel that way. Jennifer and Tony Artur are the husband and wife team behind A Beautiful Life Brands, and they've created a wonderful line of natural products, like their nail laquers, and their all natural, soy based, nail polish remover, which is one of the best I've ever used. A Beautiful Life Brands believes that going green does not mean sacrificing your style. They've created a line of natural nail laquers which offer fantastic wear and pretty, unique colors - WITHOUT any of the nasty chemicals like DBP, Toulene or Formaldehyde. 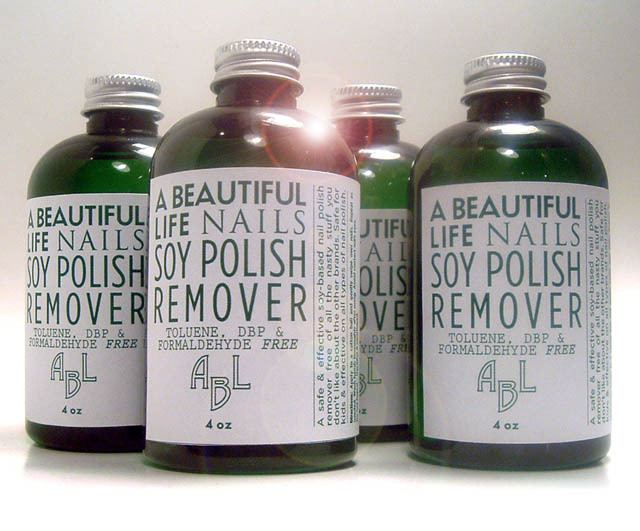 The formulas are Soy based and the packaging is recylable. They're even safe for kids! 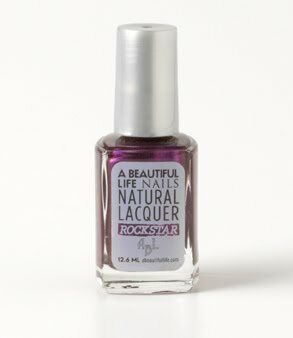 Rockstar, (pictured, top), a deep pearlecent purple - no shimmer. Nuit, metallic blue-violet - really stunning at night. Juiced, (pictured, bottom) a bright orange with a touch of creamy white blended in - no shimmer. 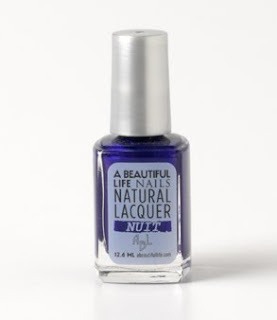 The nail lacquer is fairly lightweight, but creamy and streak free. Even one coat was extremely pigmented and pretty, and two coats brought the color to life exactly as it appeared in the bottle. I love the fun shade names too! The wear is extremely good - at least a week with little chipping with a top coat. 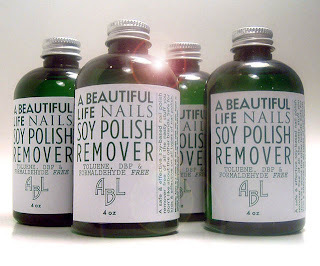 The remover is extemely effective at taking off polish - even very dark and with glitter. It didn't dry my nails/cuticles out and didn't have that nasty chemical smell either. *These products were provided courtesy of A Beautiful Life Brands for reviewing purposes. Nice information about natural nail polish. The skin and nails are constantly bathed by a tidal flow of oils and moisture.